Since being announced last year, Ubisoft’s upcoming open-world racer The Crew 2 has largely flown under the radar. Sure, the first game in the series had some issues, but The Crew 2, which lets players seamlessly switch between racing cars, motorbikes, boats, and planes, actually looks pretty entertaining. With launch only a couple months away, Ubisoft let some outlets take The Crew 2 for a spin – check out some of the game’s vehicle transformations, courtesy of IGN. So yeah, clearly realism is not the focus here, which is fine by me. Transforming from a plane into a car, plummeting to earth, then driving off without a scratch looks like goofy fun. 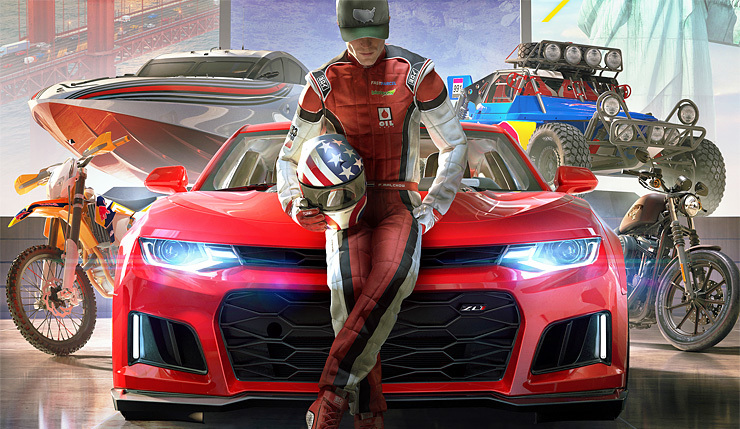 Will The Crew 2 be good for something more than just screwing around? That remains to be seen. You can check out 12 more minutes of The Crew 2 gameplay, again from IGN, below. Go where your heart takes you and travel the US like never before within a massive open world. The Crew 2 races onto PC, Xbox One, and PS4 on June 29.